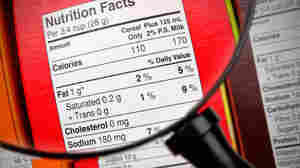 November 3, 2011  Replacements for animal and vegetable fats that simulate their texture have become a $5.8 billion industry. Here, we give you a breakdown of some of the most important fat replacements in your food. 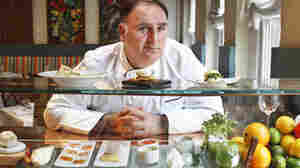 Chef Jose Andres at his avant garde Minibar restaurant in Washington. Andres' experiments with gelatins have helped make him one of the most innovative chefs in the country. October 21, 2011  Gelatins turn liquids into solids, and can make cream-based dishes into a lighter, more flavorful affair by eliminating the need for heavy, flavor-distorting fats, says Spanish-born restaurateur and top chef Jose Andres. September 27, 2011  Japanese food chemists have found a way to explain how a chemical in miracle fruit makes sour flavors taste sweet. 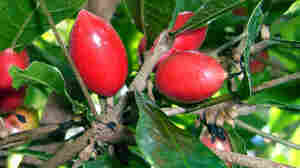 The fruit has inspired a small counterculture of flavor trippers as well as chefs who are experimenting with the chemical as a low-cal sweetener.